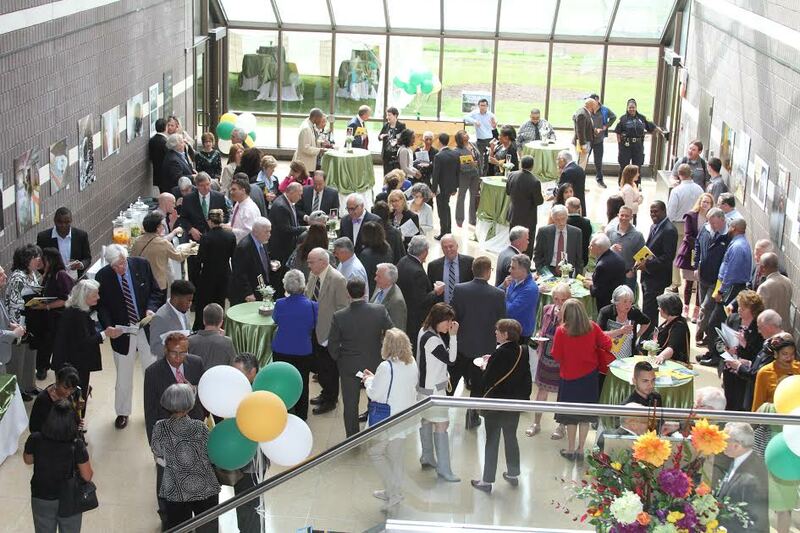 Attendees fill the Atrium at Rockland Community College’s Cultural Arts Center during the retirement event for RCC President Cliff L. Wood. RCC Provost Susan Deer presents a letter from former President Barack Obama to a stunned RCC President Cliff L. Wood at his retirement event. RAMAPO – Family, friends and colleagues of Rockland Community College President Cliff L. Wood came out to pay tribute at his retirement celebration. But someone who wasn’t even at the event provided the evening’s biggest surprise. Dr. Wood received a signed letter and photograph from former President Barack Obama congratulating him on his retirement after 50 years in higher education. The letter, on official White House stationery, was dated December 6, 2016. “I hope you take pride in the ways you have touched lives over the course of your career, and I wish you all the best for the years ahead,” said President Obama in his letter. The unique gift was presented by RCC Provost and Executive Vice President Susan Deer, prompting an emotional reaction by Dr. Wood. The event, held May 4 at RCC’s Cultural Arts Center, also featured speeches and musical tributes to Dr. Wood by RCC faculty, staff and students. Civil rights leader and Clinton presidential advisor Vernon Jordan, a friend of Dr. Wood’s, sent a video message. The event, entitled “Investing in Students: Their Success is Our Success,” served as a fundraiser for the Herbert Kurz President’s Student Support Fund. This fund provides an avenue for RCC, at the President’s discretion, to ease financial concerns so students can remain in school and pursue their academic and career goals. At the conclusion of the evening’s program, $210,775 had been raised for the fund. The fundraising effort continues, with the ultimate goal of $500,000. Donations can be made atwww.giveRCC.org or via a text-to-pledge system at 845-203-2240. To date, the President’s Student Support Fund has distributed more than a million dollars. Over 1,100 students have been helped by this initiative, and Dr. Wood insisted that any event held to celebrate his retirement also raise money for the fund. Dr. Wood will retire June 30 after more than 13 years as RCC President. Prior to arriving in Rockland County, he worked at community colleges in his home state of Texas, as well as Virginia, Maryland and New Jersey. He will be replaced by Dr. Michael Baston, Vice President of LaGuardia Community College in Queens, who was officially appointed by the SUNY Board of Trustees on May 3. 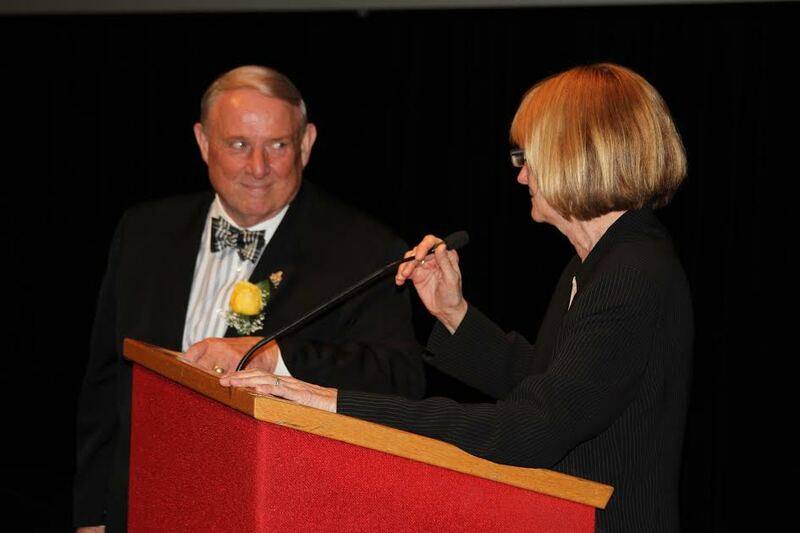 For details on Dr. Wood’s achievements and career, visit http://www.sunyrockland.edu/about/president.